Despite all their knowledge and tools, scientists cannot make perfect predictions. 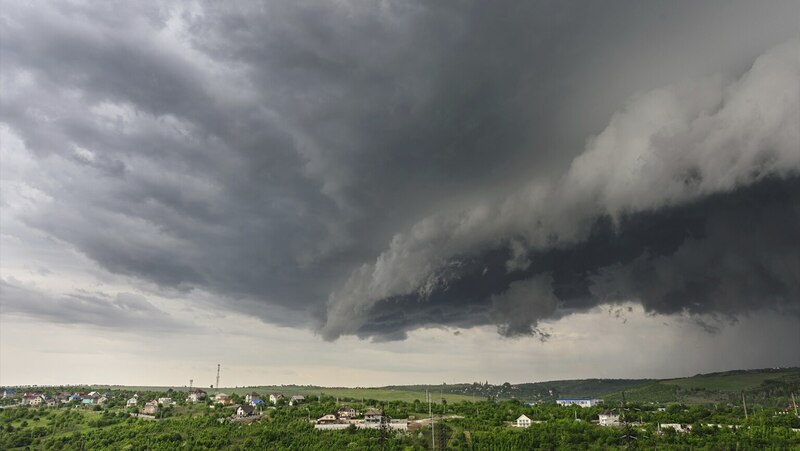 Find out why, using the example of Hurricane Rita in 2005, and explore the deep complexity of weather and climate that makes the subject of meteorology one that continues to fascinate. Superb review of meteorology. Well organized and presented. This professor keeps you awake! I've been a weather hobbyist for nearly 25 years, and I've taken a number of college level meteorology classes, mostly focusing on aviation meteorology, and this class still taught me a great deal and filled in a number of holes I had in my understanding of a number of facets of meteorology and weather. Professor Fovell was easy to listen to and the material was generally well presented and well explained. The flow of the course material was mostly logical, and I never felt like he jumped ahead and laid out ideas that he hadn't already built a foundation for. My only real critique: There were a couple points where he clearly assumed that the viewers here would have roughly similar prerequisites to his college students, particularly in regards to formal (though basic) physics classes. Layman viewers may have to take a couple of explanations at face value, or make a bit of a logical leap to really grasp what the professor is saying in a couple of places. One example would be the explanation for why a rotating body/updraft has a tendency to move at angles to the ambient relative wind. He offered an explanation that an engineer or a student with a couple of semesters of physics understands immediately, but the concept may have been lost on those who don't already have the vocabulary and a basic understanding of concepts like the Magnus effect, Bernoulli's principle, or other related behaviors of fluids moving past a disrupting body. I think a more "first principles" approach to that and a very few other ideas might be warranted for this audience, as I think it could have made the explanation for divergent counter-rotating supercells in particular easier for the layman to understand, and the same idea cropped up again in the tropical cyclone lectures. Even with a solid background to work from, I had to stop a couple of times and look carefully at how Professor Fovell was explaining things to ensure that he really was saying the same thing that I thought I understood, though in much more simpler language. He came *close* to Einstein's dictum, but maybe just missed by a hair on a couple of lectures. All in all, I think anybody who took at least a high school physics class and has even the most tenuous grasp on basic principles like convective cells, buoyancy, and general weather tendencies will have no trouble getting a huge amount from this course, even if a few of the mechanics will be a bit confusing. I highly recommend it!